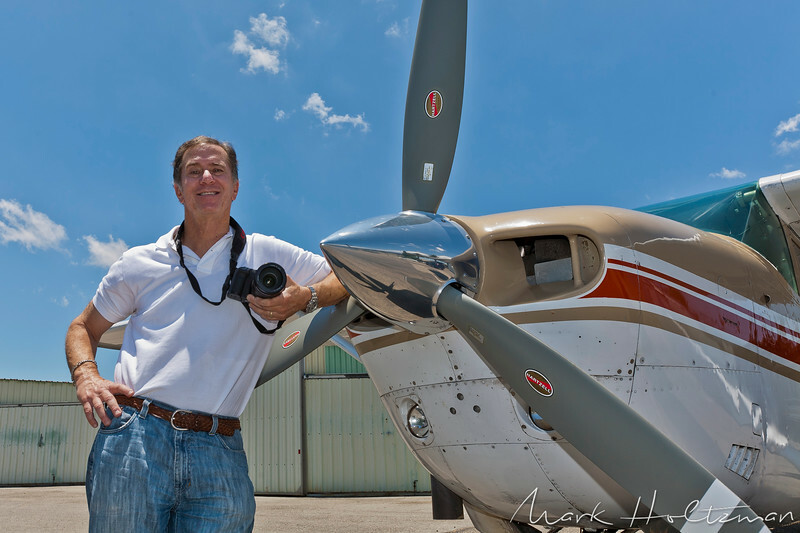 Mark Holtzman is a California native with over 25 years of experience as both a photographer and pilot. He began taking pictures at an early age, under the guidance of his father, who was also an amateur photographer. By age 10, Mark and his father could be frequently seen in their make-shift darkroom at home. At age 17, Mark got his pilot's license and has been flying ever since. But the idea of aerial photography was not fully realized for several years, although recently uncovered film and slides indicates that Mark has been shooting pictures from airplanes for years. Over the years, Mark has explored a variety of careers, studying Music at Cal State Northridge, working as an LA County Beach Lifeguard and Paramedic, and even trying his hand at acting - making a brief appearance in All the President's Men. In early 2000, Mark combined his two passions, photography and aviation, and started West Coast Aerial Photography. He gave up another job to pursue aerial photography full-time in 2007. By 2008, Mark's son, Steven, joined the West Coast Aerial Photography team full-time. Today, Mark and his son can be seen shooting aerial and ground images throughout the world. Many of Mark's photos have been seen globally, both online and in print.